How to spot a T-72? Check its profile. A small dome shaped turret rests on a low, rectangular hull and there are six road wheels inside its tracks. From the front, observe the v-shaped splash guard below its driver’s hatch. Current variants have ERA panels on the turret’s frontal arc, with batteries of smoke grenades behind them. An NSV machine gun above the commander’s hatch is another clue. The T-72 is much smaller than American and Western European Tanks. The city of Nizhny Tagil had the best and most accessible ore in all Russia. Mined from enormous magnetic deposits in nearby hills, when the Nazi’s invaded the Soviet Union the industrial town north of Yekaterinburg in the Sverdlovsk Oblast (region) was chosen to house a tank factory. Its secure location beyond the Urals could be reached by rail and river, making it ideal for the role. It fell on Uralvagonzavod to save Russia. Established in 1931 at the tail end of Stalin’s first five-year plan Uralvagonzavod specialized in trucks, tractors, and train coaches. During the Great Patriotic War, however, Uralvagonzavod became the world’s greatest tank factory. Uralvagonzavod’s reputation endures to this day and among the countless tanks that have rolled out from its sprawling production line, the T-72 is its record-beater. The T-72 is the most widely exported second/third-generation main battle tank (MBT) on Earth. Its origins dates to the Soviet Union’s military expansion during Leonid Brezhnev’s premiership. From its Object 172 prototype to the present, an estimated 30,000 T-72’s have been made between Nizhny Tagil, the Malyshev plant in Kharkiv, Ukraine, and Poland, the former Yugoslavia, India, and Iran. According to Forecast International the Russian Federation maintains the largest fleet of T-72’s with 13,000 leftover from the 1990s and between 4,000 to 6,000 mothballed as “reserves” until Moscow decided to scrap these. This column of Russian T-72’s have been upgraded with layers of Kontakt-1 explosive reactive armor (ERA) applied to the glacis, side skirts, and the turret. The T-72 represents a combination of efficient design with a powerful main gun. As the successor of the T-64, a model that was never exported outside the Soviet Union, the T-72’s chassis, hull, and layout were quite revolutionary. It maintained the low profile and dome turret common among Soviet tanks throughout the Cold War. What set it apart, however, was a 125mm smoothbore 2A46 main gun and its carousel-type autoloader supporting a 22-round magazine. Additional rounds were stored in the three-man crew compartment totaling its load to 39. When engaged in combat a well-trained crew can fire eight 125mm rounds a minute. The T-72’s cramped interior reinforces the fact that Russian tankers had to operate their vehicle in relative discomfort that may render them less effective in prolonged missions. Syria used to be the largest operator of the for-export T-72M in the Middle East. Since 2011, however, a steady supply of rockets and ATGMs to rebels have decimated the army’s finest tanks. In this photo sandbags are used as improvised armor on a battered T-72. Whether they do protect the tank is a question mark. Via Getty Images. 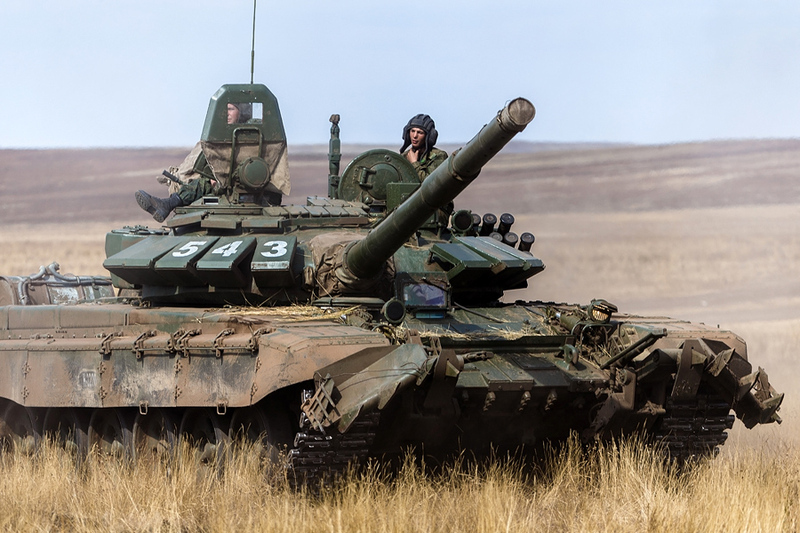 The T-72’s driver sits at the front of the vehicle, exiting and entering via a circular hatch above the distinctive “V” splash guard on the glacis. He runs the tank using two levers and a seven-speed gear stick, with only a detachable TNPO 168V periscope for visibility. (A separate night vision periscope is provided.) This is why drivers frequently poke their heads out when on the move. The gunner and commander are within the turret, all sights, switches, and systems at arm’s reach. It’s the commander who has best access to either of the machine guns at his disposal: a turret-mounted 12.7mm NSV and a 7.62mm PKT beside the 2A46. The Czech T-72M1 was an experimental design that added a pair of remote control 20mm cannons onto the turret. During the 1970s the T-72’s armor was substantial and resistant to anti-tank weapons like the M72 LAW or any recoilless rifle. In keeping with the Soviet approach to tank design a round cast steel turret allowed for very strong frontal armor. The cast steel on either side of the T-72’s main gun had a thickness between 350-380mm. The sloped glacis of the T-72 was a welded slab of rolled steel that sandwiched an additional glass-reinforced plastic layer set at a 68 degree angle. This gave at least 550mm of armor on the upper glacis and 80mm on its lower segment beneath the tank’s headlights. The flanks or sides of the T-72 consisted of rolled steel plates that were thinner–just 80mm on the upper half and 20mm behind the road wheels. The hull’s bottom and the rear of the engine compartment only had a 20mm thickness. On paper, the T-72 could absorb frontal direct hits from 105mm tank rounds. But there are sources that belie this claim and cite lopsided battles fought in June 1982 between Israeli tanks and Syrian T-72’s in Lebanon’s Beqaa Valley. This photo of an Iraqi Army T-72 and a US Army M1A2 Abrams captures the stark differences between two Cold War adversaries, albeit in unusual circumstances. The T-72 is only 7.18 ft tall, a foot shorter than the M1A2. Without an ERA package it’s also smaller and the absence of a digital fire control system and thermal sights negates its single advantage: the 125mm main gun. But given a thorough upgrade–engine, armor, comms, and software–it reclaims its edge. The rest of the tank is impervious to any small arms and even 25mm cannon fire. Should a Russian-made RPG-7V–whose warhead can burn through 11 inches of steel–score a direct hit on a T-72 without ERA, it wouldn’t penetrate the turret or glacis. (Unless, of course, a tandem warhead is aimed at a vulnerable part of the vehicle.) The larger RPG-29 is capable of knocking out a T-72 as well as most third-generation MBTs. Besides, no tank is invincible and in 2013 a Syrian Arab Army T-72 was destroyed when a rebel slid a grenade down its barrel. Later variants like the T-72B or B3 equipped with Kontakt-5 panels can withstand ATGM missile hits and perhaps a poorly aimed 120mm HEAT round. A smaller diesel power plant compared to NATO tanks. A low and round turret that prevents the main gun from adequately depressing. Composite steel armor that performs inadequately against current-generation ATGMs. Poor accuracy in certain environments when thermal gun sights are unavailable. An autoloader whose efficiency is contrasted by the risk of exploding the whole tank when its magazine is struck by a projectile. India is the second largest operator of the T-72 after the Russian Federation. 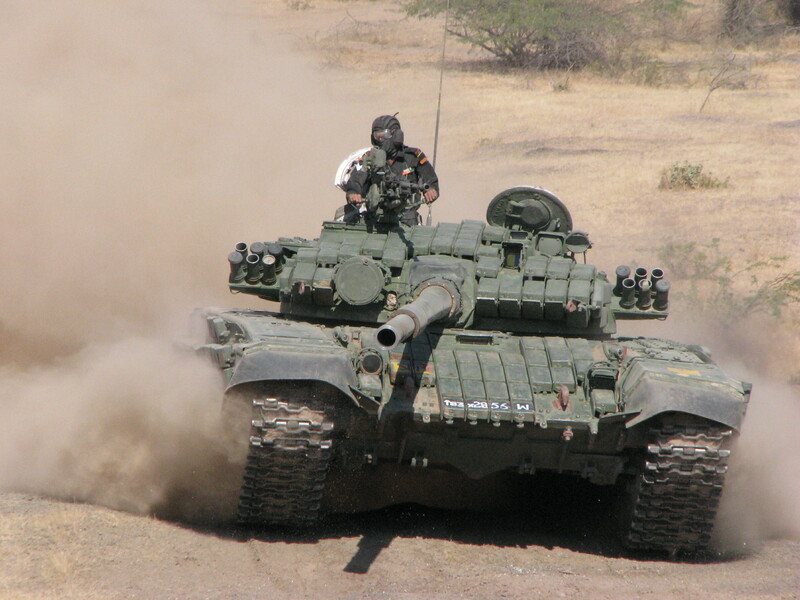 At least 1,900 T-72M1 Ajeya’s are currently in service and these are recognizable for their extensive ERA protection. The Ajeya also features an advanced fire control system that allows for day/night gunnery. The Indian Army plans to maintain its Ajeya’s well beyond the 2020s. The original T-72 that caused a stir in the West ran on six road wheels powered by a 780 horsepower V-12 diesel engine and could travel at 60 km/h on rough terrain. Its torsion bar suspension made for clunky movements at top speed, emphasizing its ruggedness. Although the engine exhaust was exposed, the Russians were clever enough to retool it as a smoke screen. Another defensive feature were smoke grenade dischargers on either side of the main gun. The rear of the tank could even carry additional fuel drums for extra mileage. Clearly, the T-72 was a game changer. The latest iteration of the T-72 is the T-72B3. Its features are an improvement over the original T-72’s weaknesses. It has extensive Kontakt-5 ERA, a 1,130 hp diesel engine, and carries additional 125mm rounds–45 over the usual 39, including the AT-11 gun/missile. The T-72B3’s subsystems include a new radio, thermal sights, and fire control system. Via Russian Ministry of Defense. Expected to be fast and heavily armed, the T-72’s turret could support a snorkel to ford rivers when buttoned up (all hatches closed). The T-72’s nuclear biological chemical (NBC) protection as well as its fire control system meant it would be the terror of European battlefields upon the advent of World War Three. But when the M1 Abrams, Leopard 2, and the Challenger 1 arrived, the T-72 was put in its place by new rivals with 1,500 horsepower engines and powerful main guns. Their superior thermal imaging, plus more generous ammunition storage and crew protection, meant NATO’s latest MBTs were more than a match. Even worse, Israel’s invasion of Lebanon and subsequent tussle with Syria proved that 105mm tank guns could penetrate the T-72’s composite steel armor. The T-72’s lowest ebb was during Operation Desert Storm, when hundreds were destroyed (along with much of Saddam’s army) in the Kuwaiti desert. The Red Army’s fall from grace once the Soviet Union gave way to the Russian Federation further diminished the tank’s prestige. Its sibling the T-80, and Russian-made weapon systems in general, suffered just as much. 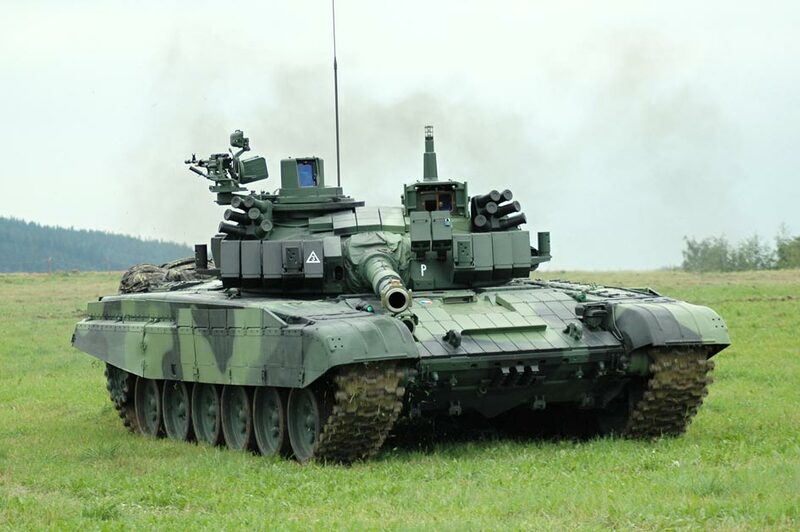 The T-72M4 CZ is deployed in limited numbers by the Czech army. It retains the original tank’s key features but with newer Western technology. These include a 1,000 hp engine, an Italian digital fire control system, additional layers of ERA on its glacis and turret, improved side skirts, an Israeli-made drive train and an active protection system (APS) to detect incoming enemy fire–note the canisters protruding from the turret. Owing to its popularity in modern conflicts, the T-72’s combat record is a matter of interpretation. On one hand, so many have been destroyed in combat. It doesn’t help that the armor protection along its rear and flanks were inadequate. On the other hand, developing countries prefer the T-72 and, like the Russians, are finding ways to improve it. Whether it’s Slovakia’s Moderna experiment, China’s Type 99, Serbia’s M-84, Iran’s mysterious Zulfiqar program, or Croatia’s Degman, the potential of the T-72 is unlike any other MBT. Let’s not forget the T-90, a mainstay of Russia’s ground forces and export success. This short-lived variant of the T-72 was developed by Kazakhstan’s Semey Engineering with the help of Israeli defense contractors. It features a protection upgrade consisting of passive armor panels, new comms and fire control system, along with day/night thermal sights for the crew and driver. It’s unknown how many of these T-72KZ’s are in service and it’s believed their production was discontinued. Depending on which sources are consulted as many as 50 different T-72 variants exist, from engineering vehicles to rocket flamethrowers. New ones are being made too. For example in 2013 Uralvagonzavod debuted its BMPT-72, a heavily armed support vehicle based on the T-72 chassis. Don’t forget the the T-90S Tagil. T-72A – The Soviet Red Army’s choice. Recognizable for side skirts. T-72A’s were later heavily upgraded with Kontakt ERA. T-72B – Features improved armor protection. T-72B2 – Features larger engine, new ERA kit, and modernized subsystems. T-72B3 – Current standardized T-72B variant for Russian Army. Available for export. 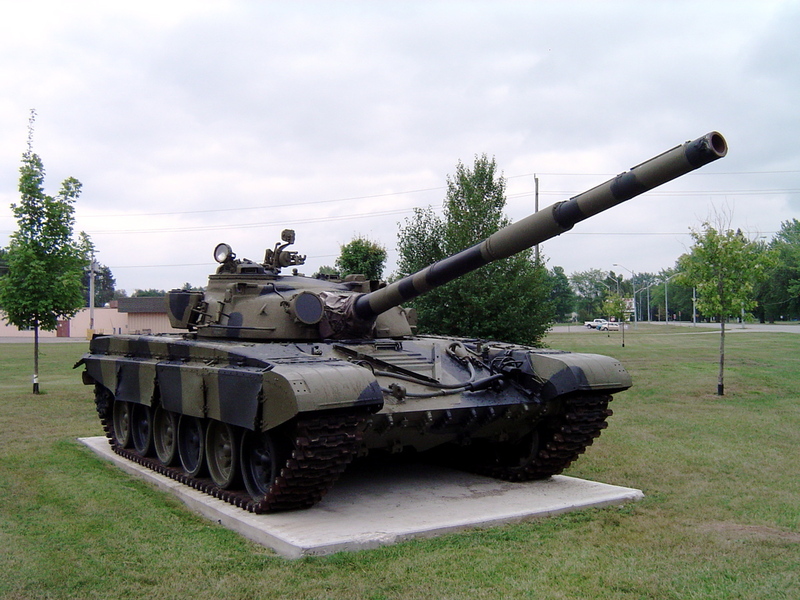 T-72M – Original for-export T-72 during the 1970s and 1980s. T-72M1 – A confusing variant of the T-72M. It’s unknown how either tank differs from each other. 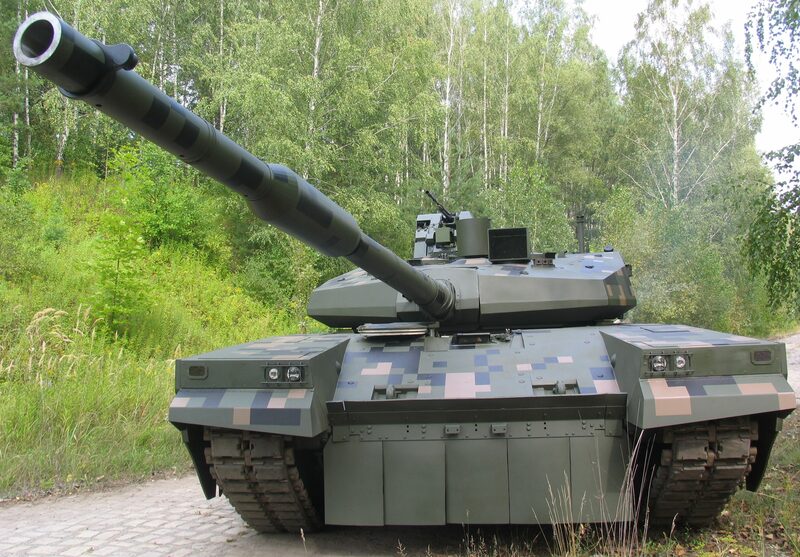 T-72M2 Moderna – A recent Slovakian T-72 upgrade with a 30mm cannon for a secondary armament. T-72S – Another forgotten export version of the T-72 featuring a new ERA kit. T-72UA1 – A Ukrainian T-72 for-export variant with an extensive ERA upgrade. The TOS-1A is a self-propelled flamethrower that can fire 24 thermobaric rockets up to six kilometers away. The launcher is mounted on the hull of a T-72. Via Sputnik International. The T-72’s greatest draw though, is simply being affordable. A T-72 could be delivered to a client for as little as $500,000 per tank. New versions cost $2 million each, perhaps more, perhaps less. The T-72 remains a fearsome adversary as well and it recently played a significant role during Ukraine’s war with Russia. In the mid-1980s the Russians introduced a gun-missile system that allows smoothbore tank guns to fire anti-tank missiles. Unfortunately, few combat records are available to prove how effective this capability is. For lack of better options, countries as diverse as Algeria, Azerbaijan, Belarus, the Czech Republic, Kazakhstan, India, Libya (pre-revolution), Poland, and Syria have modernization programs for their T-72 fleets. Unlike other third-generation MBTs, the T-72 can be outfitted with different armor packages, engines, equipment, and weapons. The US, for example, is helping improve the fire control systems for Iraq’s new T-72’s. The BMO-T heavy APC is based on the T-72. It carries a squad of soldiers armed with thermobaric rocket launchers. Even Israeli firms such as IMI, whose expertise with armored vehicles is unrivaled, can be contracted to modernize Soviet-era T-72’s. Ethiopia, Angola, Sudan, South Sudan, and Venezuela have paid for hundreds of T-72’s to bolster their ground forces. In August 2016 Poland’s state-owned defense conglomerate teased images of its latest tank, the PT-16. The new model was a joint venture between OBRUM and Bumar Labedy, whose prior experience is the manufacture and maintenance of the country’s T-72 fleet. The PT-16, which was displayed at the MSPO arms show the following month, was a surprising transformation of the T-72’s design. This was intentional given the tank’s historic problems when it came to its functioning and protection. Hence, with parts sourced from Eastern European suppliers, the PT-16 had a turret whose front is encased in blocks of composite armor and is equipped with an improved fire control system. The main armament was changed to a 120mm smoothbore gun fed by a back-mounted autoloader and the commander’s NSV was removed in favor of a remote control PK machine gun. The PT-16’s engine was upgraded and is now producing a reported 1,200 hp. Additional armor panels were installed on the glacis and over both rows of tracks, resulting in a 47.5 ton gross weight. Like the T-90S Moderna the PT-16 is another recent spin on the T-72 that aspires to keep it relevant in the coming decades. The PT-16 finally got rid of the lame Soviet sideskirts. The continuous adoption and improvement of the T-72 is incomparable with any modern tank. Iran is recognized as the last manufacturer of the T-72, with its own licensed production ending by 2012. In 2017 a new tank based on the T-72, the Karrar, was unveiled to Iranian media. 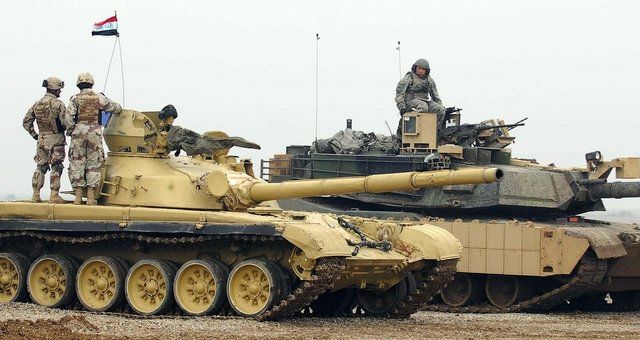 Even developing countries like Armenia, Ethiopia, Kazakhstan, and Syria have recently acquired the means to overhaul, assemble, and upgrade their own T-72’s. This portends the technology and its accompanying expertise will spread farther, thereby extending the T-72’s career–one that’s on track to reach its 50th anniversary soon. It isn’t a stretch to foresee a T-72 in a future battlefield…somewhere. Note: The video above is edited combat footage from Syria. In it, unidentified Syrian rebels capture footage of the T-72’s used for “tank raids.” What follows is some of the best publicly available records of the T-72 in action. At 3:10 and 3:28, observe how a T-72 (an up-armored variant with ERA) discharges a white smoke screen from its exhaust. 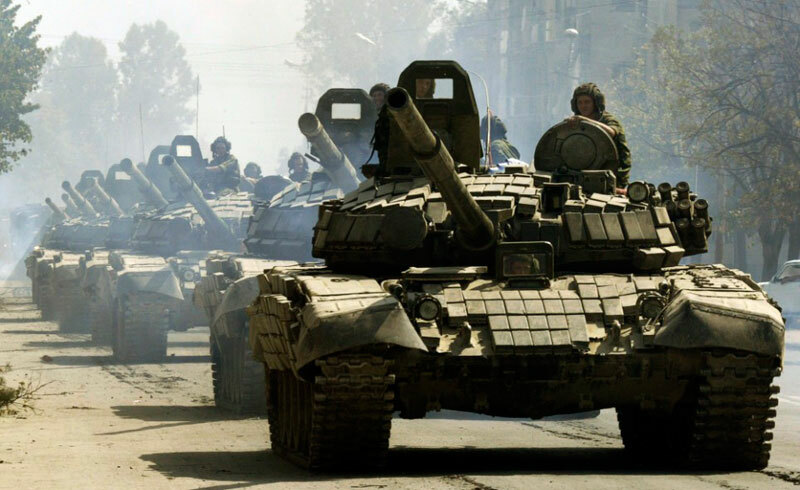 At 14:05, watch a column of T-72’s accompanied by BMP-2’s deploy in a narrow street to suppress sharpshooters. At 21:36, a near miss from a T-72 firing at close range. At 29:27, note the destruction of a T-72 without ERA after it’s struck by a 105mm anti-tank round launched from an RPG-29.